The Ivy Pool Bar alfresco space is a true example of a sophisticated oasis. 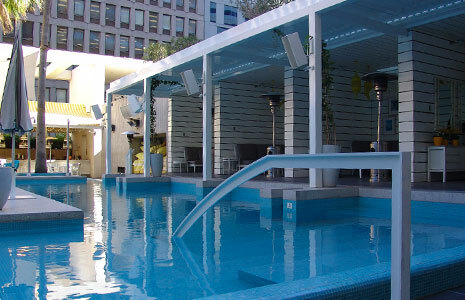 Located four stories above George Street you will find this refined & funky pool bar area that includes a number of poolside cabanas that now enjoy the added benefit of the SkyMax Aerotech Opening Louvred Roof System. 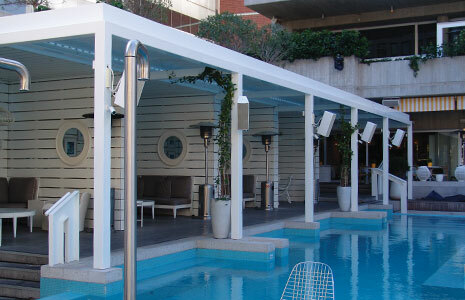 The system protects patrons from the ever-changing weather conditions while they are enjoying a drink & some live music that is on offer each evening at this venue that is owned by Justin Hemmes & the Merivale Group. SkyMax assisted with the design to ensure that the client’s brief was matched in terms of flexibility and functionality of the space. Our approach to creating distinctive and innovative projects is a result of working proficiently and collaboratively with architects, designers, builders and engineers to ensure our clients receive the best solution for each project. 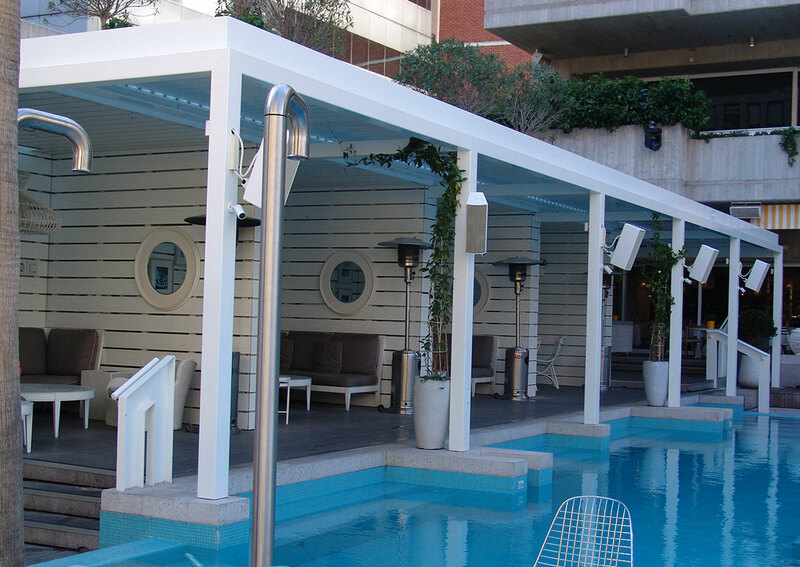 The Aerotech Opening Louvred Roof System guarantees the ultimate in flexibility, functionality & all weather protection for the cool winter months, while providing sun protection for the warmer months, ensuring that your venue reaches its full potential.